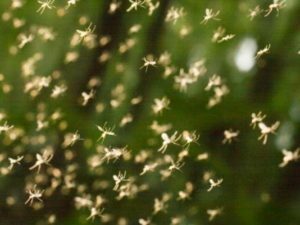 How Do Mosquitoes Over Winter ? It depends upon their Sub Family as to how they will overwinter. Culex, Anopheles and Uranotaenia overwinter as adults. While Culiseta, Wyeomyia, Orthopodomyia and Mansonia,overwinter as larvae. No Mosquitoes overwinter as pupae. This information is important to know when and how to treat for mosquitoes in your yard. Some of these sub families only lay eggs once a year while others can be non-stop till the first killing frost. Some will live only a month while others can live up to several months as adults. Each Sub family is responsible for certain Viruses it passes onto humans and dogs. Such as Triple E, Maleria, Dengue, Yellow Fever, West Nile Virus and Heart Worm. Not all mosquitoes will feed on humans. As you can see there is much to know about their biology so that a detailed and effective program can be tailored to your specific needs. Almost all Mosquitoes are a nuisance bothering us while we are trying to enjoy the outdoors. This is why you need to hire an educated and licensed professional to treat your yard against these pests. The CDC has reported their first known zika virus infected human in the USA as of March 2017. Their 2017 forecast is a possible explosion of zika infected human cases coming this year, are you prepared? 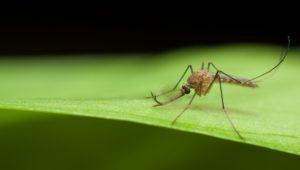 The state funded space spraying treatments that Essex and Middlesex counties currently do has zero affect on mosquitoes that carry the zika virus. This is because the counties space spraying treatments are done at dusk and dawn. Their pesticide treatments can only actively kill mosquitoes that are in flight. Once their pesticide space spraying pesticide lands on something it is no longer effective. It is only effective when it is in the air (airborne). They can not enter your property without permission . 98% of all homeowners do not receive any benefits from this type of application, zika is expected to sky rocket in 2017. County pesticide spraying has been useless in the quest of zika virus carrying mosquito control. The zika virus carrying mosquito is active only during the day time and is resting at night. CDC Spring update on zika it is alive and doing well. Even though we have not heard of zika in the news lately, Novemer thru January is a quiet time as mosquito activity is very low do to the cooler months. The CDC has reported over 4000 new cases in U.S. Puerto Rico, the U.S. Virgin Islands and American Samoa during this same time frame. Experts have said zika has not been eliminated from 18 Countries and 30 Carribean Islands. Zika virus gives us more reason for caution then others, as it is near impossible to contain it geographically such as West Nile Virus, Triple E, Dungea and Chikungunya are. CDC is warning of the possibility of a zika outbreak coming this Spring and Summer months thru out the US to include Essex and Middlesex Counties in Massachusetts. There is no vaccine if you contract the zika virus. Hire a professional licensed and insured company to do scheduled barrier treatment sprays and to your yard. Also larvae treatments if needed. Stay indoors at dusk and dawn when mosquitoes are their most active however zika virus mosquitoes are active day and night. If you must go outdoors wear long sleeves and pants. Spray or rub onto clothing and exposed skin a Deet Product to repel mosquitoes from biting you. Purchase Permethrin-treated clothing they will protect you even after several machine washings. Keep all window screens in good repair and closed if not needed and use air conditioning. Remove all standing water from your yard.Tip over all buckets,flower pots,bird baths,old tires, kid toys,pools and wheel barrows. Fill in low areas in your yard especially at the bottom of your down spouts. 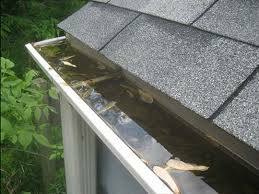 Check your roof gutters and keep them free of debris. Looking for relief from mosquitoes and ticks this year? Imagine for a moment sitting out in the evening on your deck enjoying your favorite beverage mosquito and tick free! Let’s explore what you can do to achieve a Spring and Summer like never before mosquito and tick free in your own yard. There are several ways of attacking this problem, let’s explore them together. First you have the IPM or Integrated Pest Management program. Tip over all buckets, kids toys/pools and wheel barrows once a week or just after a rainfall. Pull tight all tarps that might be withholding water. Check your gutters and keep free of debris. Fill in any low spots in your yard to keep water draining away from your property. Rake all leaves off your lawn to include 5 feet off your lawns edge into the wooded areas. Keep debris 1 foot away from your house foundation. Keep all brush piles off your property if possible. Stack firewood away from your homes foundation. 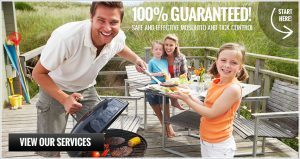 Second you should hire a professional licensed and insured company such as Mosquito Enemy to expedite barrier spray treatments on a regular basis to the harborage areas of mosquitoes and ticks in your yard. These treatments are done with either all-natural oils or synthetic pesticides both are safe around children and pets. These treatments will only eradicate the adult stage of the mosquitoes and ticks. Third have the same company treat the standing water sites on or near your property. This will stop the first 3 cycles of the mosquitoes life cycle. There are several means to accomplish these treatments. Mosquito Enemy will be happy to discuss your unique situation and witch treatments are right for you. Ticks and Mosquitoes Who Likes Them? Not me…. and I’m reasonably sure you don’t either. They sure are a Summer kill joy when your trying to enjoy your outdoor activities not to mention they both are vector insects. 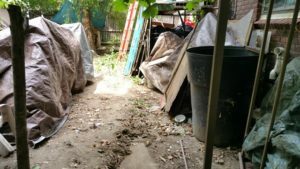 What can you do to rid your yard of them? First you can practice good water management on your property better known as Integrated Pest Management or (IPM). Tip over all containers that are with holding water, such as kids toys, buckets, kiddie pools and flower pot bottoms. Tighten all tarps that are covering items in your yard to keep off any standing water on them. Toss away any old tires or items that have no place in your yard harboring water in them. Inspect all gutters and keep them free of debris. Fill In any low spots on your property where water collects. You will not believe what an impact just these few steps will achieve in reducing your mosquito population. Keep your property raked free of leaves. Rake an additional 5 feet away from your lawn into your wooded areas. Remove all brush piles from your yard. Keep fire wood covered and away from your home. Keep all organic matter 1 foot away from your house foundation. Now that you have achieved these important steps it’s now time to bring in the licensed professionals to further assist you in ridding your yard of these vector insects. 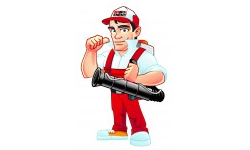 Mosquito Enemy employees are trained and licensed professionals in mosquito and tick control. Each year offers the pest control industry safer pesticides that are EPA Registered in the quest for control of these insects. We also maintain our licenses with continued educational classes in our chosen field of mosquito and tick control. We employ both All-Natural Products and Synthetic Pesticides both are children and pet safe ask witch one is right for you. 2017 offers new products available to treat for the control of mosquitoes in wetland areas with zika, west nile, triple e, chikungunya other viruses. It depends upon your unique situation as to witch choice is right for you. Some yards have standing water such as ponds, others have wetlands close by. Or maybe we are just dealing with the occasionally wet area after a rain storm. A good rule of thumb is if the standing water is gone within 4 days we just don’t worry about it. On the other hand if its still visible after 4 days we now have a breeding site for mosquitoes. How we treat depends upon many factors, is the water on or off your property but within 1200 feet? This is the furthest distance 93% of the mosquitoes that bother you are traveling from. The other 7% are traveling to your residence by strong winds as they are weak fliers. Yes you can treat for this situation with our newest pesticide pyridine. Pyridine is a growth regulator (GR) that will kill or destroy the first 3 stages of a mosquitoes life cycle. This along with barrier mist spray treatments will greatly reduce your mosquito population. This pesticide transfers to the female’s legs while she is harboring. When she fly’s off to lay her eggs even if it’s not on your property the pyridine will transfer to not only her eggs but to any eggs larva or pupa within 1 meter of hers. 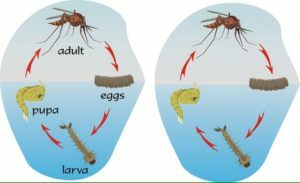 This transfer effect gives you excellent control of the first 3 stages of a mosquitoes life cycle. If the water source is only on your property we have other choices that are just as beneficial. We can treat only those areas with a different form and active ingredient to kill the eggs. These pesticides will effect only the eggs of mosquitoes and flies in water. They bring no harm to fish and other forms of water life. Call (978)363-2222 or fill out your contact information on our contact page today for a free no obligation estimate for mosquito control at your home. Mosquito Enemy provides mosquito and tick control to residences and businesses alike in Salisbury MA of Essex County North Shore Area. 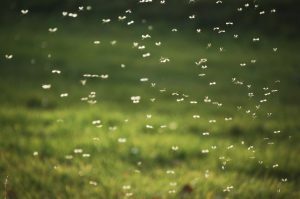 If your finding it difficult to enjoy the outdoors due to mosquitoes and ticks give us a call to discuss your options. “It’s more fun outside”! with Mosquito Enemy and we guarantee it. I know how frustrating it is to come home after a long day at work grab your favorite beverage and head outside on the deck to enjoy it. Only to be sent back inside due to those miserable mosquitoes and ticks. Thats the main reason I started a licensed and insured pest control company. We have grown it locally to hundreds of happy and satisfied homeowners like yourself. We are not funded or paid by Essex County to treat your property. We custom taylor a unique barrier spray treatment program to your property only. You are guaranteed results and satisfaction on your property. We employ both all-natural and synthetic pesticides that are both equally as safe for children and pets. All of our technicians are trained professionals that are licensed and insured with the Massachusetts Pesticide Bureau. Massachusetts does not have a County program in place to treat your city against ticks. We offer this free of charge with our mosquito control programs. Other companies will charge you extra for tick control. Haven’t you suffered long enough? 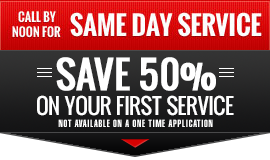 Call us today at (978) 363-2222 and ask for your no obligation free quote. If your looking for another reason to start immediately we do not require you to sign a season long contract. 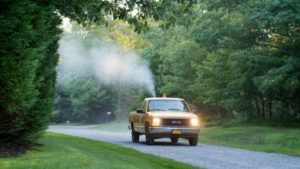 Essex County’s mosquito control division has a limited budget for spraying and fogging in Lynnfield Ma. If you desire a consistent and regular mosquito control program for your property you must look at other options. To date Essex County doesn’t offer any tick control treatment programs to the public. First things first, you can help yourself with mosquito control just by ridding your yard of water holding areas. This practice is better known as Integrated Pest Management (IPM). Proper and weekly IPM will reduce the sheer numbers of mosquitoes from your property. Mosquitoes need water plus warm temperatures in order for their eggs to hatch. You need to reduce and eliminate the amount of water yourself on a weekly schedule. Tip over and empty buckets, lids, kids toys, dog dishes and flower pots. Keep all tarps pulled tight.Inspect all gutters for proper drainage and to keep debris out of them. 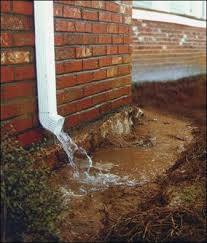 Look closely at how the water runs away from gutters. 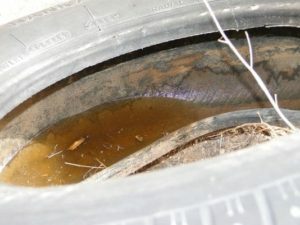 Do not use corrugated pipe to direct water away from your home, these pipes are home to thousands of mosquitoes. 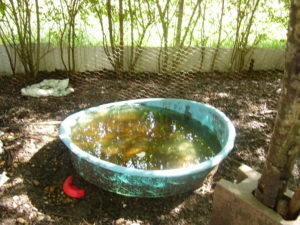 If you have a pond on your property aeration (water fountains) helps stop mosquitoes from laying their eggs in water. As for ticks keep all leaves and brush picked up off your lawn areas. Rake back all property edges 5 feet, keep firewood piles away from your home and off the ground. Just these few steps will have a huge impact on the reduction of mosquitoes and ticks on your property. There are many ways to achieve your mosquito and tick free yard. All-Natural products act as a repellant while Synthetic Pesticides will eradicate them. 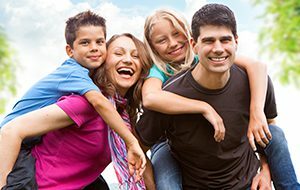 Your family and pets safety of either All-Natural or Synthetic Pesticides lies with you. I do want you to rest assure both are very safe. Hire a licensed professional skilled in mosquito and tick barrier spraying and water management treatments to rid your yard of the remainder. Are you enjoying your free time in your yard mosquito and tick free? If you answered no isn’t it time you started to? With all the local news lately on zika, chikungunya, and west nile virus to name a few of the mosquito viruses going around. It is easier then ever today to get control of these along with tick borne viruses with proper Integrated Pest Management (IPM) along with a all-natural or synthetic pesticide program. IPM is something you can start doing yourself immediately to reduce the population of mosquitoes and ticks. Mosquitoes need water and warmth to hatch into enormous numbers on your property. Remove all exterior water holding areas and you have just saved yourself a lot of misery. Tip over those kids toys and pools once a week. Empty flower pots standing water, old tires and dog dishes. Look for buckets or a wheel barrow holding water tip all of them over. Have any tarps covering stuff like firewood, boats etc? If so pull them tightly to remove any pockets of water on them. Even your gutters need attention, make sure there is no debris in them and check that water is not puddling at the down spouts. All these areas need your attention all summer long, Tip, toss and turn over weekly. Ticks love leaf and wood clutter areas. Rake all bark mulch and leaves 1 foot from foundation of your home. Rake and remove leaves from your property, to include the boundary as well. Keep brush and leaf piles off your property if possible. Now it’s time to hire a licensed and trained professional to apply barrier spray treatments to the harborage areas of both mosquitoes and ticks to further reduce the populations on your property. Special attention will be given to wet areas especially standing water such as ponds or streams. Together we can assure you of a mosquito and tick free yard.